here’s a quick reminder. 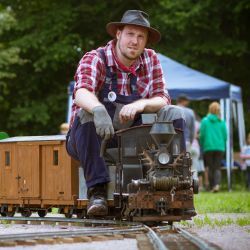 My Hon30 modular logging railroad “Waldbahn Eusserthal” will be on exhibition during the “Trainsmania” in Lille, France from May 3rd to 5th 2019. As before, Bernd Irion will join me with his layout Waldbahn “Grand Rommelstein” as he did last year.